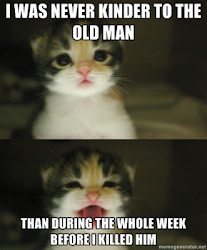 This week's Link Dump is sponsored by Cats Who Are Ready For the Weekend! Where the hell are the aliens? What the hell are the Blythe Intaglios? What the hell are these ancient gold rings? Who the hell was D.B. Cooper? Yup, they're still working on that one. Watch out for those two-headed Welsh ghosts! The spaniel and the elf-shot. The woman who would be Aretha. There may be a lost civilization under the Persian Gulf. The return of the Knights Templar. Ruins of a mysterious ancient civilization in Saudi Arabia. Alternate history and a late 13th century poisoning conspiracy. The man who stuck a knife into a queen. With her permission. The puzzling death of Annie Dorman. A very unusual film clip of Franklin Roosevelt. The dirt pyramids of early America. The history of German witch hunts. Uncle William and the ghost photograph. The race to find oil in Iraq. The Lunatic's Ball. No, no, I'm not talking about Twitter. Princess Helene, who was fortunate enough not to marry the Duke of Clarence. Internet trolls in 18th century Denmark. Pro tip: Never give your significant other your photo if all you have is a wanted poster. I heartily approve of this: rewriting classic books so the dog doesn't die. Some "firsts" from 19th century France. When statues of presidents go very, very wrong. Could the Romanovs have been saved? The ghost of Wilson Canyon. The long-delayed burial of the Irish Giant. The 18th century teaches us how to drink beer. A beautiful Maine castle overlooking Casco Bay is for sale. And it has ghosts! Someone buy this for me, please. The 19th century queen of magic. A "heartless and causeless murder." And, finally, R.I.P. Harlan Ellison, although it's hard to imagine him at rest under any circumstances. 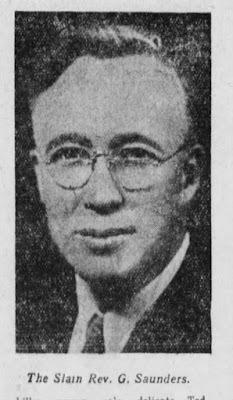 Mr. John J. Ghegan, the night operator in the Newark office of the Western Union Telegraph Company, is agent for Professor Phelps and Professor Edison's telephones, and he has put up a large number of both kinds of the instruments in Newark. About three months ago he put up a Phelps telephone for, Mr. J. J. O'Connor, the Catholic bookseller and publisher for the diocese of Newark. Mr. O'Connor is the agent for the Cemetery of the Holy Sepulcher, in East Orange, two miles from Mr. O'Connor's store and residence, at No. 103 Washington-street. He frequently had occasion to send orders and other communications to Mr. Bowe, the superintendent in the cemetery; so he determined to have a telephone to connect his store and the cemetery, in order to save time and the expense of messengers. At the cemetery is a small building used as an office by the superintendent, and in this office Mr. Ghegan placed a telephone, which he connected with another telephone in Mr. O'Connor's house. No other telephone connects Newark with the Cemetery of the Holy Sepulcher. Mr. O'Connor was delighted with his telephone. It was a novelty, and it worked like a charm. Mrs. O'Connor and her friends found amusement in conversing through the instrument with persons in the cemetery. The telephone was thus kept in constant use for several days. By means of it orders could be sent at a minute's notice to the cemetery for the opening of a grave. Mr. O'Connor told Mr. Ghegan that he would not do without a telephone for any money. At about four o'clock one morning, three weeks after the telephone was first used, Mr. and Mrs. O'Connor were awakened by a furious ringing of the call bell attached to the telephone in their room. Mr. O'Connor was surprised, because he knew that the office in the cemetery was locked every evening at six o'clock, when Superintendent Rowe and his assistants go home for the night. Mr. O'Connor thought, however, that some ruffians might have been caught defacing the monuments and tombstones, which had been done before, and that the police were wanted, so he answered the call and asked through the speaking tube what was wanted. He received no reply except a ringing of the bell. This was repeated several times, but no answer came through the tube. Mr. O'Connor finally concluded that either the wire was being tampered with or some person had gained access to the cemetery office, and given an alarm in order to play a joke on him or to annoy him. So he told Mr. Ghegan the next morning of his night's experience. Mr, Ghegan said that the call bell could not be rung unless some person turned the crank attached to the telephone in the cemetery office, neither could the bell be rung by tampering with the wire, because the bell is not run by a battery, but by a magnetic alarm. Mr. Ghegan questioned the men in the cemetery, but neither Superintendent Rowe nor any of his assistants had been in the cemetery after six o'clock on the previous evening. The little office was examined, and the windows and doors showed no evidence of having been opened, nor were there any indications that anyone had been inside. No one could account for the mysterious alarm, so Mr. Ghegan advised Mr. O'Connor to await future developments. Several nights later Mr. O'Connor and his wife were again awakened by a furious ringing of the call bell of the telephone. Mr. O'Connor could get no answer to his questions through the speaking tube. He disconnected the wire, but the bell kept on ringing. His wife was so thoroughly alarmed that she demanded that the instrument should be removed from the house. "If you are in communion with departed spirits, we implore you to see that they will not disturb us at unnecessary hours." Thereafter a watch was kept on the cemetery office at night, but Mr. O'Connor still complained that the call bell was rung at night at intervals. Superintendent Rowe, Mr. O'Connor, and Mr. Ghegan still cannot account for the mysterious signals. Some of the female neighbors of the O'Connors are sure it is the work of spirits. Mr. Ghegan said to a reporter of the "Sun": "I am not superstitious, but I confess that this thing puzzles me. A Spiritualist friend tells me he is certain a spirit has sent the signals to Mr. O'Connor. I know many persons who have telephones in their houses, and some of them are connected with others, yet I never received complaints from them. Mr. O'Connor's telephone has no connection, except with the cemetery. I have investigated the thing for weeks. and I cannot even suggest an explanation of the mystery, for mystery it certainly is. If the instrument were run by a battery the mystery could be explained, but in this case I cannot understand it at all. I hope we will soon find out the secret for the sake of the nervous women." I was unable to find anything more about the story, so I have no idea if the mystery was ever solved. Eccentrics arise in any era, and from any walk of life. However, it could be argued that the most outstanding examples of personal peculiarities could be found in the pre-modern gentry. 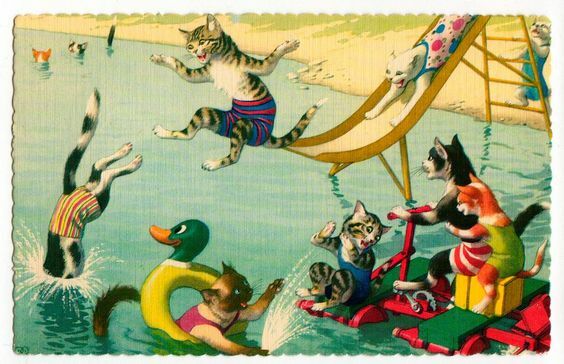 Their financial and social security, coupled with large amounts of leisure time, allowed those who were naturally inclined to have a few screws loose to achieve their full potential of weirdness. The results were often people who were gloriously uninhibited, delightfully original, and first-class menaces to all unlucky enough to cross their paths. What would this blog be without them? In today's post, we look at one of the finest flowers of upper-class derangement: Adolphus Cooke, the Pride of Westmeath, Ireland. In his book "Irish Eccentrics," Peter Somerville-Large wrote that Cooke managed to "skirt the boundary of true madness." 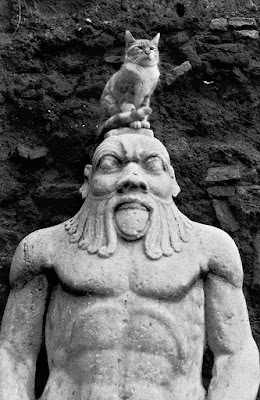 However, when one contemplates the fact that Cooke was convinced that his father had been reincarnated as a turkey, leading him to instruct his servants to take off their hats and genuflect whenever they encountered the bird, it may be that Somerville-Large was being overly optimistic. Cooke was born in 1792, on his family's estate of Cookesborough. Cookes had lived on the land since the late 17th century. Unfortunately, by our hero's time, this land was much smaller than it had originally been. The Cooke menfolk combined a passion for gambling with appallingly bad luck, with the result that much of their property wound up being frittered away on losing bets. Adolphus was illegitimate, the product of a union between lord of the manor Robert Cooke and one of his servants, whose name is now lost to history. After his birth, Robert's wife left him. Adolphus' mother was sent away, and the baby was given to a woman named Mary Kelly. Adolphus and his foster-mother were exiled to a cottage on the edge of the estate, never being allowed near the mansion. 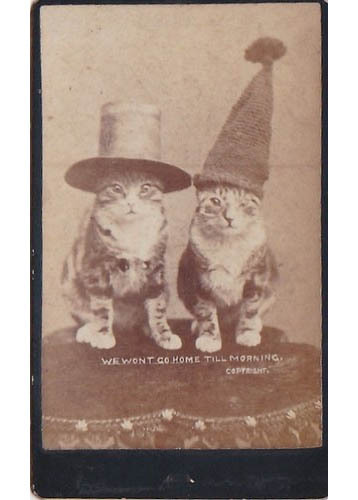 Robert looked after his son's welfare, albeit in the traditionally peculiar Cooke fashion. Each day, a basket of provisions was sent to the cottage. There was never more than one day's worth of supplies, and these were carefully itemized out, down to weighing the amount of salt and counting the number of sods for the fire. 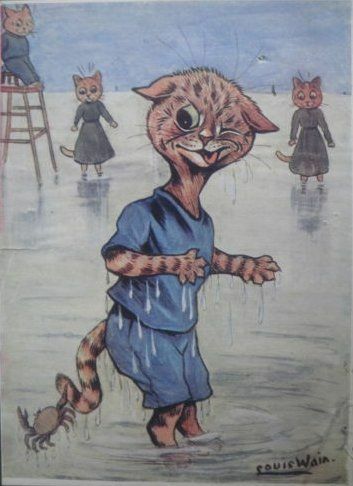 One day a year, Kelly was allowed to go into town to buy the child clothes and shoes. When Adolphus grew old enough, he was sent to school in England, and then the army, where he served under Wellington. He seemed destined for the drab, anonymous existence usually allotted to illegitimate sons of rich men. Fate, however, decided that Adolphus was destined for grander things. Robert Cooke's two legitimate sons predeceased him, without leaving children of their own. He had little choice but to leave Cookesborough and its seven hundred acres to his only surviving child, Adolphus. 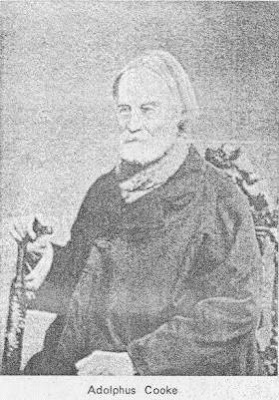 When Robert died in 1835, the 43-year-old heir left the army and returned to claim his estate. It was clear right from the start that Cookesborough's new master had his own distinctive way of doing things. He hired two large, heavy men, gave them the titles of "Gentlemen of Nature's Stamp," and essentially gave them the run of the place. One of the new "Gentlemen," named (I kid you not) Tom Cruise, was interested in sport, and not much else. He was constantly leaving the estate to attend various sporting matches, and insisted that the local parish priest announce these events as part of his Sunday Mass. On one occasion, Cruise interrupted the sermon to chide, "Father, you are forgetting to tell them about the sports at Longfield today." Adolphus' other aide was Billy Dunne, whose most notable characteristic was his large, flat feet. Dunne spent much of his time drilling imaginary troops, when he wasn't playing policeman. He liked to march around in a cast-off police uniform, swinging a stick he called his "bayonet." He was a great figure of fun to the local children. Cooke was, as you might expect, something of a mixed blessing to his tenants. He generously provided them with warm blankets and other furnishings, pensions, and funeral expenses. On the other hand, he expected everyone on his land to conform to his particular ideas of discipline. Each morning, Cooke would lead his men in a sort of army parade. He'd give the command, "Fall in! March in step!" and the workmen would obediently follow in a line, each pushing a wheelbarrow full of tools. If the men should lose any of those tools, they were instantly fired. At the end of the day, he would lead them home, all again marching in step. On a more heartwarming note, Cooke loathed children. A couple who lived on his lands spent years hiding their offspring from him, out of fear of being evicted. On one occasion, a panhandler asked Cooke for some charity. When Adolphus learned the man was childless, the delighted seigneur rewarded him with five pounds. Conversely, when another vagrant pleaded for help on the grounds that he had twelve children to support, Cooke sternly called him a "naughty man," and sent him packing. 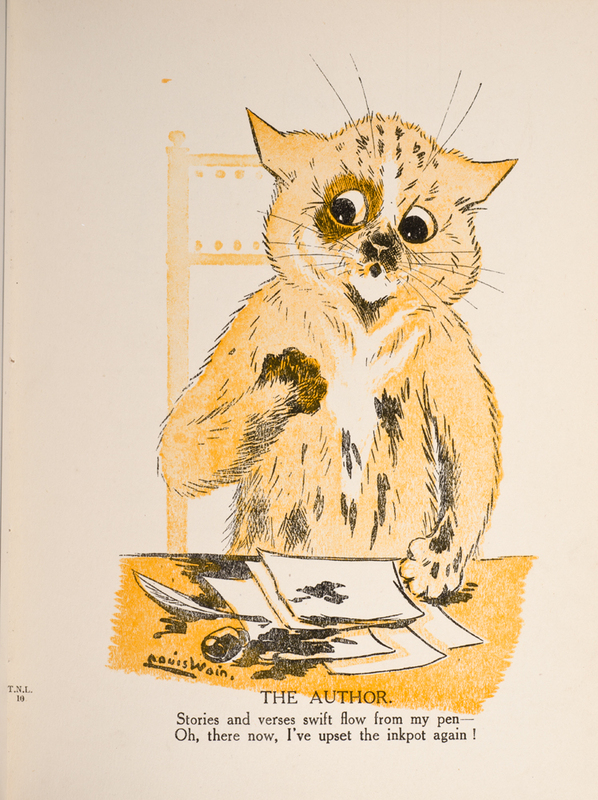 It was his dealings with animals that brought out Cooke's most peculiar side. He bred some of the finest horses in the country. However, he did not allow them to be broken until they were at least ten years old. Once, when he heard that a bullock had fallen into a river and was drowning, his reaction was to order that all the other cattle be driven to the riverbank to watch the edifying spectacle. "It will be a warning and a caution to each and everyone during their mortal tenure to shun water." On another occasion, when a bull had the temerity to threaten Cooke, he challenged the animal to a duel. I am pleased to report that the bull got the better of the battle, and would have turned his adversary into a grease spot if a maidservant hadn't intervened. She set the dogs on the bull and opened the paddock gate wide enough to allow Cooke to escape. Adolphus showed his gratitude by firing her. Only the best, he explained, should be allowed to survive. Cooke had a particular predilection for crows. During nesting season, he spent much of his time watching them, getting very anxious if they should fight, and expressing great relief when the squabbles were over. He forbade cutting any trees on the estate, simply because the crows made their homes in them. One year, he ordered his men to gather twigs and make the nests for his favorite birds. (The crows ignored them and built their own nests elsewhere.) Cooke boasted that Cookesborough had the best and strongest crows in all Ireland, able to make short work of any rivals. Anyone on the estate who shot or otherwise ill-treated any of his corvids was immediately sacked or evicted. As I mentioned earlier, Cooke was a believer in reincarnation, which proved to be very fortunate for his dog, Gusty. Gusty was a playful, affectionate dog who was a great favorite on the estate. Unfortunately, Gusty liked to roam the countryside, a habit much condemned by his owner. After Gusty was brought back from one of these journeys, Cooke gave him a stern lecture about his wandering ways, and announced that if the dog left the estate again, he would be hanged like any common criminal. He even showed Gusty the rope and the tree that would serve as the gallows. Like so many recidivists, Gusty failed to heed all warnings. Not long afterward, he was found in nearby Mullingar in the company of some common village mutts. Cooke's feudal soul was outraged by this blatant consorting with the peasantry. 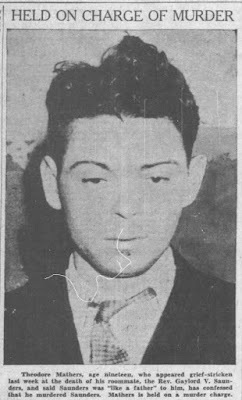 The next morning, Gusty stood trial in Cookesborough's Great Hall, with the staff serving as jury. Cooke, of course, was the judge. After hearing testimony about Gusty's escape and subsequent resisting arrest, the jurors returned a verdict of "Guilty of Misbehavior." warning to other dogs against so offending. Judge Cooke had spoken. But who was to serve as executioner? No one on the estate wanted to perform the appalling deed, but they were equally fearful of antagonizing their mercurial master. Finally, a man known as "The Bug Mee" volunteered to act as canine Jack Ketch, saying cheerfully, "To plaze your honour I'll hang him; and I'd hang the missus and childer too, if it came to that." On the morning scheduled for execution, Bug Mee took the condemned dog off into the woods. A short while later, he returned to the mansion...accompanied by a very much alive Gusty. When Cooke demanded an explanation, Bug Mee replied, "Your honour, I was knotting the rope on his neck when he put the heart across me. He began speaking to me in some kind of foreign language. So, I said to myself, I'd bring him back to you because there is something in him...Who knows, but it's the ould gentleman himself that is living with?" Cooke certainly did not want to be guilty of patricide. Gusty's sentence was commuted on the spot, and he lived happily for many years after. As Adolphus grew older, he naturally began contemplating his own burial plans. At first, the idea of the simplest of burials--in a lonely spot, with no formal service and no stone marking his grave--had a poetic appeal. 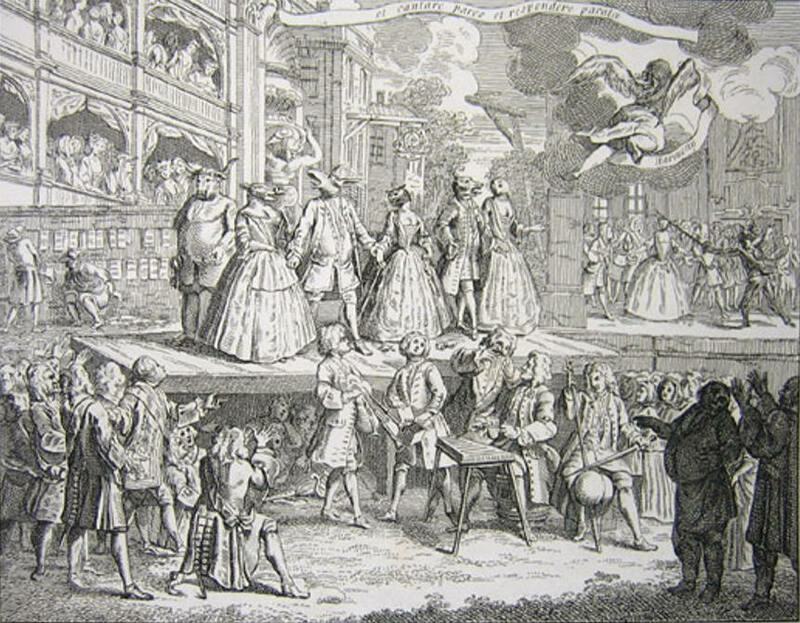 However, he soon changed his mind and went for the notion of putting on a jolly good show. He built himself a huge marble vault on the estate, forty feet square and forty feet deep. (He did not want his eternal rest spoiled by hearing the crows quarrel.) When it was completed, he installed a large fireplace, along with a marble chair and a table holding pens, ink, and paper. There were shelves filled with books. Cooke ordered that when the time came, he should be embalmed and placed in a sitting position before the fire, which was to be kept perpetually lit. He obviously had big plans for his afterlife. Sadly, this novel and entertaining burial never took place. After Cooke died in 1876, the rector (perhaps getting revenge for all those years of Sunday sermons turning into "Wide World of Sports,") ignored his wishes and had him buried in the stone vault that contained the bodies of Cooke's father and foster-mother. (Cooke had designed the mausoleum to resemble a beehive, as he thought it possible that Dad came back as a bee.) The grand marble vault was demolished. Eccentrics often have great fun with wills, and Cooke was no exception. He made no less than three of them. The first left his estate to a nephew who lived in Scotland. However, when the nephew and his fiancee came to visit Cookesborough, the lady mortally offended Adolphus when she sat in the marble chair in his marble vault and asked, "Is this how you will look in it?" Such levity caused Cooke to banish the pair from the estate forthwith and disinherit the nephew. Cooke's second will left everything to his cousin, Dr. Wellington Purdon. Unfortunately, Purdon went in for fox hunting. One day, Purdon's pack of hounds killed a fox in front of Cooke. As Cooke had become convinced that he would be reincarnated as a fox, this naturally disquieted him. He certainly did not want to leave his estate to a man who might well be responsible for having him murdered in the next life. So, Purdon got the boot as well. As an extra precaution, Cooke ordered that a number of deep foxholes and stone trenches be installed on the estate, so that if he indeed came back as a fox, he would have plenty of hiding places. Cooke's final will left the estate to Edward Pakenham, a younger son of the Earl of Longford, on the condition that the impecunious young man change his name to Pakenham-Cooke. However, after Cooke's death, Dr. Purdon contested this will, on the highly unsurprising grounds that Cooke had been of unsound mind. This case yielded what is one of the greatest bits of dialogue ever heard in a court of law. It came when Cooke's doctor, William Williams, took the stand. Williams insisted that while Adolphus may have been a difficult man, he had been perfectly sane--he believed that Cooke enjoyed making himself look more lunatic than he really was. Purdon's lawyer questioned the doctor about the time when Cooke told him he was turning into a screech owl. Williams: I told him that I admired screech owls very much. Counsel: Do you admire screech owls? Williams: Well, I said I liked places that had birds and crows and rooks...that they generally accompanied old demesnes and old families. Counsel: Can you give me the exact words he used when he said his voice was becoming like that of a screech owl? Williams: He said, "This is the first day I perceived my voice becoming like that of a screech owl." He was very hoarse at the time. Judge: Did you ever hear a man saying he was as hoarse as a raven? Judge: Now, when Mr. Cooke said his voice was becoming like that of a screech owl, do you think he supposed he was a screech owl? The court ruled in favor of the newly-christened Pakenham-Cooke, with the judge noting, "If a man believes he will turn into a successful screech owl after his death, that is no proof that he is incapable." Dr. Purdon took his case to Dublin's High Court, which also ruled in favor of Pakenham-Cooke. Unfortunately, thanks to all this litigation, the only ones to profit from Cooke's will were the lawyers. The estate was declared bankrupt. The disgrunted Edward, feeling that it was scarcely worth his while to change his name for a denuded estate, dropped the "Cooke" and went back to being plain old Mr. Pakenham. As for what became of Adolphus in the next life, I am very sorry to say that a few days after he died, a fox broke into Cookesborough's kitchen, where it was killed. Of course, there is no proof that this was the former master visiting his old home, but the locals had few doubts. As a later history of the area quipped, "The kitchen was a fit and proper place to find a Cooke." 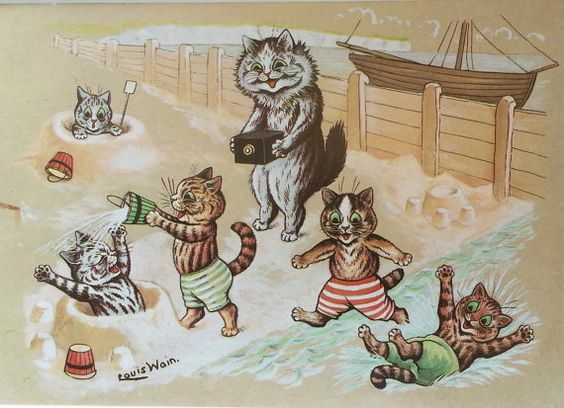 This week, the cats are celebrating the first Link Dump of summer with a beach party! Who the hell was "Joseph Newton Chandler?" Now we know! Watch out for those shape-shifting spook lights! In which a cat is asked to vacate his master's chair. I think I know who won. Los Angeles really likes to watch drunkards. Giants in the New World. An extinct ape in an ancient tomb. The world's most stolen painting. The problem with using "Pride and Prejudice" as a real life "how-to" guide. The problem with breaching an 18th century fireground cordon. Outlaws versus vampires. Go on, take your pick. Jonathan Swift and Henrietta Gordon, pen pals. More 18th century "sporting prints." A practical "joke" lands a soldier in the hospital. Folklore of the summer solstice. The ghost of Louise's Island. Men landing on the moon may have had some unintended consequences. Elizabeth and Josiah Potts, who insisted to the end that they didn't do it. A senior retirement home...for cats. No, Fidel Castro did not nearly become a pro baseball player. A child's grave regularly gets a new set of clothes. The world's coziest canine shelter. Madame Tussaud's Chamber of Horrors. Captain Cook and the not-so-friendly islands. Moe Berg, top baseball player and CIA assassin. A murderer faces his own death with a notable sangfroid. A dead father comes to collect his child. The puzzling, fascinating world of "alters." And here's a far worse father. That's it for this week! See you on Monday, when we'll look at a noted Irish eccentric, who reputedly came to an end not unlike Saki's "Laura." In the meantime, here's some medieval dance music. 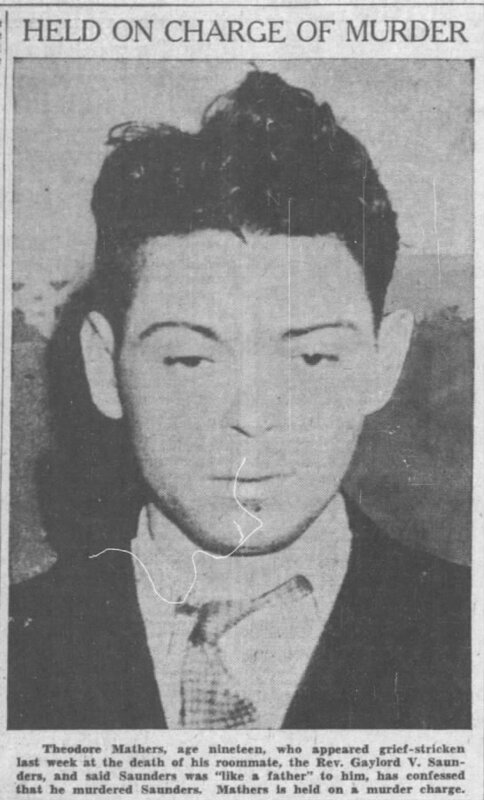 Cincinnati Enquirer--Detective Maheffey and J, Rood, both of Alamo, Van Buren county, Michigan, have been in the city a couple of days, looking for a young man named Dwight T. Holmes, whom they believe to be here. It is a case of life and death, and it is of the most importance that Holmes be found. The story told by Mr. Rood is a most remarkable one, and his own daughter is party to it. On the evening of Jan. 9 his daughter Kitty attended a "candy pull" in Alamo with Holmes. The couple accompanied Miss Annette Garlanger home, and while waiting for her folks to come, they being out somewhere, Holmes thought he would try some of his mesmeric powers. He first put Miss Garlanger under the hypnotic influence, to his orders she smoked a cigar and did other things. The he experimented on Miss Kittie Rood. She is of a very nervous organization and subject to hysterical attacks. Holmes found her an easy subject, and compelled her to do a number of absurd acts, concluding by ordering her to feign death. At once she became like a corpse and respiration ceased. Holmes was frightened and Miss Garlanger was paralyzed at the unexpected turn things had taken, for they could not waken Miss Rood at all. Holmes got the village doctor, who gave it as his opinion that the young lady had died of heart disease. The grief-stricken parents accepted this, and the funeral occurred Friday, Jan. 13. Thursday night Holmes disappeared. As the coffin was being lowered into the grave Miss Garlanger became hysterical. She was at once taken home and gradually told the story of the case. Then there was a great rush for the cemetery, and the sexton was surprised to see a lot of men digging away at the newly made grave. The body was taken home, and when the leading physician at Paw Paw, the county seat, Dr. Vanderburg, made a critical examination, he said she was not dead. He applied tests, and then said she was in a trance. Hypnotists from near and far have been called, but they can do nothing. The parents think the only one who can help their daughter is Holmes, and if he will only return to Alamo he will not be prosecuted, as it is thought that he, having put her in this hypnotic condition, he alone can break the bonds which bind her. Miss Rood still lies at her home as if dead, while it is thought that Holmes is hiding for fear he will be arrested for manslaughter. He is said to be a very good looking young fellow, and of excellent reputation. As is usual with this kind of story, there were no follow-ups in the newspapers, so for all I know Dwight remained on the lam and Kitty remained in a trance. Needless to say, if any amateur hypnotist wants to practice their new-found skills on you, the safest response is to punch them in the nose. Insurance fraud is one of those enterprises that leads to unexpected misadventures. When the focus is on life insurance swindles that requires one of the conspirators to feign being dead, the likelihood of unpleasant surprises naturally increases. Our story opens early in 1872. One Mr. Lowndes rented out a cottage he owned just outside of Baltimore to Winfield Scott Goss. Goss explained to Lowndes that he was an inventor--he had already created a "ratchet screwdriver," and was currently formulating an artificial substitute for rubber. The rural retreat would, he said, be the ideal location for his secret and vital experiments. 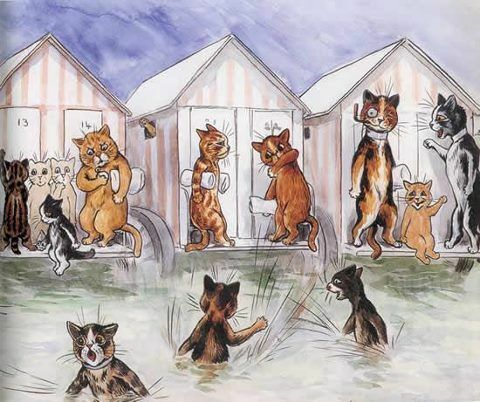 All seemed well until the evening of February 2, when the cottage inexplicably burst into flames. The conflagration was too intense to be contained. All poor Mr. Lowndes could do was watch helplessly while his property burned to ashes. 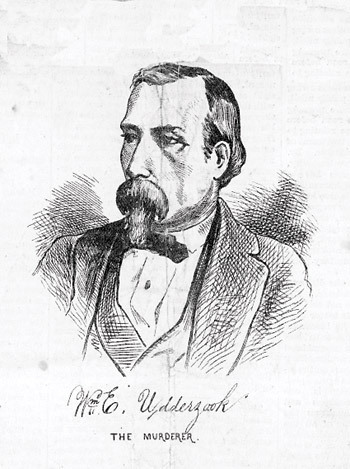 Also observing the disaster was Goss' brother-in-law, William Udderzook. After studying the flames for about an hour or so, Udderzook strolled up to Lowndes and casually commented, "I think he's still in the house." "Who is in the house?" asked the understandably rattled Mr. Lowndes. Udderzook seemed surprised that the man had to ask. "Mr. Goss," he replied. Lowndes' evening was quickly going from bad to worse. After a bit of sputtering, he inquired why Mr. Udderzook could not have mentioned this earlier. Udderzook--clearly a man with a passion for etiquette rare in this unmannerly world--replied coldly that he had not been introduced to anyone present, so he was naturally reluctant to impose himself. As he said later, "I claim that I performed my duty in sending a message to the family." When the ruins were searched, it was soon evident that Udderzook's grim assertion was likely only too correct. A man's body was discovered. It was burned beyond recognition, but everyone took it for granted that these were the earthly remains of inventor Goss. Immediately following this tragedy was the revelation that Mr. Goss had been a great fan of life insurance. In the months before his fiery end, he had purchased no less than four different polices, which--once his accidental demise was made official--would make his wife, Eliza, richer by $25,000. When a man of modest means suddenly becomes addicted to buying large policies on his life, and then meets a weird end immediately afterward, insurance companies tend to narrow their eyes and begin asking uncomfortable questions. The coroner and the police wanted to know a bit more about Mr. Goss, as well. How was it, they asked, that this perfectly fit man came to be trapped inside the burning little home? Udderzook and the late inventor's brother, Campbell Goss, told the authorities a simple story: On the day of the fire, Udderzook accompanied Winfield to his cottage, where they spent an educational and entertaining morning inspecting artificial rubber samples. At dusk, Goss filled a lamp with kerosene, and Udderzook took his leave. Later in the evening, Udderzook and a neighbor, Gottlieb Engel, paid a brief call on Goss. Winfield was having trouble with his lamp, so Engel volunteered to get another one from his mother's home. Goss gratefully accepted the offer, insisting that Udderzook accompany him on this mission. Udderzook and Engel returned to find the cottage on fire. It was obvious, said Udderzook, that this faulty lamp had exploded, causing the fire. Just a tragic accident, that could have happened to anybody. Unfortunately for the Widow Goss, while the insurance companies agreed the lamp was the likely cause of the fire, they were not nearly so certain it had been an accident. They were uncovering some interesting things about Goss. For instance, they found it odd that although the ruins of the cottage had been searched without finding anything of value, more than a week later Campbell Goss claimed to have found in the wreckage his late brother's watch, chain, and keys. It struck them as curious that Goss had been willing to spend no less than half of his total income on life insurance premiums. There was also the fact that the day before the fire, Winfield had withdrawn his entire bank balance and closed his account. And when they also learned that on the night of the fire, Campbell Goss had hired a horse and carriage and made a mysterious ride into the country, the firms began muttering some suspicions that were very painful to the Goss family. The companies flatly refused to pay up. Mrs. Goss took the companies to court. The lawyers for the insurance companies insisted that the body --which they were now openly doubting was truly that of Winfield Goss--be exhumed and autopsied. Mrs. Goss was asked to give a detailed physical description of her husband, with particular attention to his teeth. After a bit of judicial nagging--she was very reluctant to provide this information--she finally submitted a written report of Winfield's dentistry. He had, she said, an excellent set of teeth. Unfortunately for her, the corpse revealed a quite different story. The man who had been buried as Winfield Goss had many teeth missing, and the ones he had retained were in a sad shape indeed. The insurance companies felt their darkest theories about the case were vindicated, and they vowed to fight. The first case--against the Mutual Life Insurance Company--was held in May 1873. The heart of the trial was the medical evidence, all of which raised serious doubts whether the body found in the cottage was truly that of Winfield Goss. However, for reasons best known to themselves--probably a misplaced gallantry--the jury found for Mrs. Goss. The time would come when they would feel a tad embarrassed about that decision. The insurance companies moved for a new trial. They were convinced that Winfield Goss was still alive and well, and they were determined to prove it. Mr. Udderzook was not pleased by this news. On June 30, 1873, Udderzook traveled to the village of Jennerville, Pennsylvania, and booked into the local hotel. Accompanying him was a middle-aged, bearded man who coyly refused to give his name. That evening, the pair paid their bill and drove off in a rented carriage. A few hours later, Udderzook returned the carriage to the livery stable. He was quite alone. The next morning, the stable owner was disconcerted to find that the carriage was in a sorry state. The dashboard was broken, two blankets were missing, a large seal ring had been left between the cushions, and there were stains on the floor that looked very much like blood. A week later, a local farmer named Gainer Moore passed by an area known as "Baer's Woods." He noticed an unusual amount of buzzards. When Moore went to investigate, he was shocked to find a man's body. Or, to be more precise, part of a man's body. There was only a trunk and a head, partially covered with dirt and leaves. Further exploration revealed the man's limbs in a trench about twenty yards away. A quickly-assembled coroner's jury soon determined that the man had died of stab wounds. And that this was the same man who was last seen driving off in a carriage with Mr. Udderzook. Udderzook was quickly tracked down and put under arrest. And when the insurance companies got the chance to examine the body, at long last they had to admit that Winfield Goss was well and truly deceased. The prosecution saw very clearly what had happened. The problem with Winfield Goss was that he just didn't know how to play dead. He liked to, in the words of one of Mrs. Goss' attorneys, "deal in conviviality to too great an extent with his companions." After the fire, Udderzook and Campbell Goss settled Winfield--who was now calling himself "A.C. Wilson"--in some secluded residence, and at first all seemed to be going according to plan. However, Winfield soon got bored with being deceased. He also became very thirsty. His fondness for boozing it up in bars could not be contained. This was clearly not at all the way a dead man should behave, and it became an increasing source of worry for Mr. Udderzook, especially when the insurance companies broadcast their intention to find the allegedly defunct Mr. Goss. Mr. Udderzook decided that Mr. Goss needed some help with being a really convincing corpse. Another of Udderzook's brothers-in-law, Samuel Rhodes, offered some startling testimony: he stated that on the day Goss was murdered, Udderzook had asked for his help with a certain scheme. He wanted to bring a man into the woods, sedate him with laudanum, and then rob him. The defense lawyers--who were apparently taken aback by the strength of the prosecution's case--had a hard time of it. The most they could do was suggest a feeble conspiracy theory that the insurance companies were trying to frame their client by planting a spurious body in Baer's Woods. While this was certainly a novel argument, it failed to sway the jury. Udderzook was found guilty, and sentenced to death. He was hanged on November 12, 1874, maintaining to the end that Winfield Goss had indeed met his end in that cottage near Baltimore, and solemnly warning his audience about the evil machinations of those dastardly insurance companies. The true identity of the unfortunate soul who had been enlisted to masquerade as Goss remains a mystery. Trial testimony indicated that Udderzook and Goss had hauled this body to the cottage in an express wagon the morning of the fire, but it was never established how the pair had acquired it. It is assumed that Udderzook had managed to filch it from some medical college. Unless, of course, that worthy had more than one murder on his resume. This week's Link Dump is sponsored by a majestic, fearsome god. The statue is pretty formidable, too. That ongoing question: What the hell is Tabby's Star? Another ongoing question: What the hell is the Roanoke Stone? Watch out for those Japanese monsters! Watch out for those spider rains! Watch out for those haunted wells! Watch out for those haunted burger joints! Troubled by a barking dog? Have I got the prayer for you! A 19th century murder and a white squirrel. The Victorian fad for gold-dusted hair. James Joyce and the disappearing scholar. Hate having people lecture you about ending a sentence with a preposition? Blame John Dryden, who reminds me of those humorless pedants you see online in such large numbers. 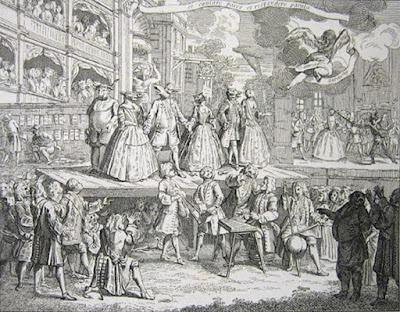 Life in a 17th century coffee shop. UFOs and a disappearing Air Force officer. Fairies are among us as much as ever. The Lady of the Mercians. The eternal allure of alternate history. The temporary allure of flagpole sitting. Agricultural labor in the Georgian era. The first professional food critic. Who hosted his own funeral party. Some recent Fortean ice falls. It's 18th century Ireland. There is a football match. Things go exactly as you'd think. Plus poetry! How Napoleon lost his carriage. A really freaking deep cave turns out to be even freaking deeper than we thought. Being a phone operator at "Unsolved Mysteries" is sort of like being on Twitter without use of the "Mute" button. Bits of good stuff, lots of creeps, and a whole lotta Weird. The mysterious death of a forgotten Founding Father. The menu on Cook's "Resolution." Here's hoping you like "Sour Kraut." It turns out that the Stanford Prison Experiment was a bunch of hokum. A tailor who was tempted by dancing. Penka the Bulgarian Cow escapes a death sentence. The history of "witch balls." British hairdressers have a ball, 1866. The execution of the Paisley Witches. A hidden 19th century diary. A fire poltergeist in Zimbabwe. 1918, the year of death. That's it for this week! Rejoin me next week, when we'll be looking at one of my favorite true-crime topics: diddling with life insurance! In the meantime, here's some vintage summer music. A most extraordinary circumstance happened in this Town [Portsmouth] on Sunday and Monday last. It is a topic which engages the attention of the gay, and the serious, the sceptic and the believer, the speculative philosopher, and the superstitious fanatic; in a word, persons of every description are impressed with the singularity of the event, as surpassing, in its causes and effects, every power of reason to investigate, or experience to reconcile with the general tenor of Nature's vicissitudes. On Sunday morning, between nine and ten o'clock, Mr. Rood, an opulent Wine-merchant in the High-street, was alarmed with the sudden ringing of the bell, hung for the particular purpose of calling up his servant. No cause whatever, could be perceived of the bell ringing. In a little time after, the other bells in the house joined in the concert, and continued at intervals, of a quarter of an hour during the whole day. And, although persons were placed at the handles of each bell, to watch the cause of their ringing, they still continued their clamour without any perceptible agency whatever. At night one of the Maid-servants was so alarmed that she fell into a fit, in which she continued several hours. Late at night, Mr. Rood and his family went to bed, and passed the night without any further disturbance. About nine o'clock on Monday morning, the bells re-commenced their ringing, but with much greater violence and clamour than on the preceding day. Mr. Rood being now in the greatest consternation at not being able to ascertain the cause of this surprising circumstance, called in several neighours as witnesses of what was occurring. They had no sooner arrived than every endeavour was tried, to see whether the bells were rung by any trick of clandestine confederacy, and also to prevent their ringing. For this purpose, the wires were taken from the bells and their clappers were muffled after every examination had been made, in vain, to discover whether they were rung by any deceptive means. Among the most active visitors on this occasion was Mr. Luscombe, the keeper of the town prison. He muffled the principal bell and took away its handle and wire. But he had no sooner left the room with Mr. Rood and the rest of the neighbours, than the bell resumed its ringing more violently than ever. So great was its motion that it beat in such a forcible manner against the ceiling as to injure it materially, and it afterwards broke from its fastening and fell to the ground; but what is still more remarkable is, that the part which was driven several inches into the wall for suspending the bell, was found drawn out at least half a foot, which, to have effected by any human means, would have required more strength than any inhabitant of the place is said to possess without the aid of a mechanical power of most considerable energy. At this time one of the servants was strongly suspected of being the cause of this supernatural event, in consequence of its appearing that, in two places in which she had lived before, occurrences equally unaccountable, and still more alarming, had happened, so as to occasion her being sent home from both places to her parents. The two places to which we allude, are Mr. Binstead's, Shoe-maker in Lombard-street; and Mr. Peake, builder in the Dock-Yard. At the former place, the most tremendous noises were heard whenever she was alone. Sometimes they represented the crashing of falling ruins, and at others the agitations of buildings being wrenched by the most powerful engines from their foundations. She frequently appeared as if combating with Spectres or Demons, and fell into the arms of her mistress in the greatest state of terrific agitation and horrid dismay.--Having stated the above circumstances, we avoid any comment. We, however, think it but justice to state, that the Girl, although now discharged from her third place, is remarkable for being most pre-possessing in her manners and person, and attentive to her duties as a servant. Addendum: The incident was well-known enough to inspire a comic song! ...That last part may require a bit of explanation. On September 8, 1974, Edwin Fuhr, a farmer near Langenburg, a community in Manitoba, Canada, went out to swath his fields. As he approached a large hay flat, he saw a peculiar steel-colored object in the hay. His first thought was that neighbors had put duck blinds there as a joke. He got off his tractor and approached the item with the idea of giving "the thing a kick." When he was about 15 feet from the device, he suddenly realized that "the thing" was not lying on the ground. It was hovering just over the field, and revolving swiftly. Fuhr decided it was more prudent to leave it well alone. He walked backwards to his tractor ("I wasn't going to turn my back on the thing.") where he sat for a few minutes wondering what in the world he was supposed to do next. He was afraid to go near the object, but even more afraid to leave it unsupervised. He noticed that to the left of him were four other objects, all identical to the first and all revolving. While he pondered his dilemma, the devices simultaneously shot straight up in the air, leaving a trail of gray vapor, and the group disappeared into the clouds. Fuhr estimated that the crafts were about five feet high and ten feet across. He saw no windows or other openings. They were completely, eerily silent. When the objects rose into the air, they raised a heavy wind. After they disappeared, Fuhr summoned enough courage to survey the hay flat. He found five distinct "donut style" prints in the hay and grass. In the middle of the "donuts," the hay was not disturbed, but around the center was a ring some two feet wide where the hay was pressed flat into the ground. The grass was whirled down in a clockwise direction, but otherwise unmarked. These grass circles could still be seen days later. Three days later, Fuhr found a sixth circle in that same hay flat. Three weeks before the farmer's brush with The Weird, a family in Yarbo, a town about 25 miles from Langenburg, reported seeing five bright objects moving across the night sky. Around that same time, a bus driver and his passengers reported seeing similar unidentifiable items. It is presumed that these were the same objects that Fuhr had seen. Fuhr initially told no one of his odd experience. Finally, after some pressuring by his family--who sensed that something was preying on his mind--he confided his story to them. Fuhr had no desire to publicize his tale, but without his knowledge, his brother-in-law contacted the RCMP. From there, the story quickly spread to the newspapers, leaving the world--depending upon one's point of view--skeptical, enthralled, or just plain baffled. Ron Morier, the RCMP Constable who was the first to investigate the incident, was convinced the farmer's story was utterly truthful. He told a reporter for the "Nanaimo Times," "Something was there and I doubt it was a hoax. There's no indication anything had been wheeled in or out and Mr. Fuhr seemed genuinely scared." Just what in hell did happen on Fuhr's farmland? For the moment, at least, that must remain a matter of opinion. This week's Link Dump is sponsored by the newest member of Strange Company HQ's crack team of assistant writers. What the hell happened in 6th century Britain? What the hell is happening in modern-day Britain? Watch out for those wandering needles! Watch out for those hitchhiking ghosts! The strange disappearance of Paul Love. What it was like to attend a ball at Almack's. Sounds a bit dull, if the truth be known. A look at historical murder confessions. They were rarer than you might think. You wouldn't want to follow the real caveman diet. One is suddenly reminded why fast food was invented. The man who probably regretted surviving being shot through his stomach. This week in Russian Weird presents the world's most badass eyebrows. Jack the Ripper appears in court. Sort of. I'll see your corpse candle and raise you one death fire. How John Cleese got a rubbish dump named in his honor. Want to write a biography about someone who left us no biographical information? Easy! How to email a cat. That is, if you want to do so, and I really hope you don't. Robin Hood and the Virgin Mary. Letters between an Indian ruler and the wife of an Indian army officer. Be cautious about breaking death-bed promises. The deceased won't like it. Conspiracy theories and Nikola Tesla: a skeptic's view. Why is it (usually) hard to remember dreams? How Benedict Arnold went from hero to traitor. 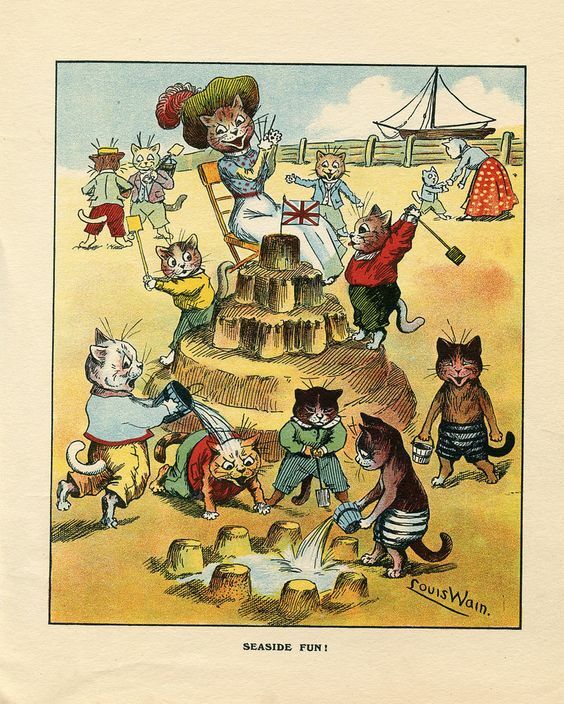 The wild world of Victorian camping. An intact Roman tomb was recently uncovered. Three popular 19th century Paris restaurants. The mysterious death of Bessie Little. This is truly spooky: an animated recreation of the death of Pompeii. An accused murderer finds a new life in America. The rebellion of the Luddites. Victorian hair removal methods. Yes, of course arsenic is involved. Victorians couldn't do anything without involving arsenic. Why it's not a good idea to hitch a ride with a horse thief. The "noon girls" of Victorian Paris. A politician who ran a bordello. Well, many of them have found worse ways to screw their constituents. The famed "half-hanged" Margaret Dickson. Have wrinkles? Get out the stinking iris! A "notorious" 18th century captain. And that's it for this week! Join me on Monday, when we'll look at a Canadian farmer who harvested some High Strangeness. In the meantime, anyone else old enough to remember "If it's Lene, you'll Lovich?" I always say, you really can't beat ghosts when it comes to administering cautionary tales. The following Welsh tale of love gone very, very wrong was told by one John Humphreys in the "North Wales Express" for December 24th, 1886. As I have said before, Wales has some of the best ghost stories anywhere, and this one's a particular corker. There is today in Carnarvon, a woman who has lived nearly a hundred years. She was pointed out to me some time ago as distinctly remembering the execution, on the Morfa, of a murderer. He was taken to a place of execution in an open cart seized for the occasion by the sheriff's officers, and from the cart he was swung into eternity. As far as I can ascertain this occurred about eighty years ago. At that time the good folk living in and about Carnarvon were densely, intensely, and ignorantly superstitions--to a great extent they are too much so still--and belief in ghosts and their supernatural appearance was an unexceptional rule. How any work requiring to be done in the dark after sunset was done at all I can hardly imagine, insasmuch as the most hair-raising and ghastly sights were commonly believed to have been seen by belated travelers in all parts of the county. The Morfa, for example, near the present Workhouse was reported and believed to be the scene of ghostly and even demoniacal revels, if revels be the proper word to use to describe the nightly diablerie of perturbed spirits and unholy spirits. One story relates how a countryman, residing near, on looking through his window at midnight, saw the whole expanse of country in front of his home covered with wheels of fire, careening madly hither and thither, interspersed with which were ghostly forms in white robes, with outstretched arms, which floated in an aimless fashion in and out among the fiery wheels. On the sill of every house window, at other times, burned, pale and blue, the terrible "corpse candle" (canwyll corph) prognosticating disaster to all beholders. To minds inured and accustomed to these things, a belief in such a story as I am about to relate would be the most natural thing in the world, and I, for one, am not surprised that my informant implicitly believes in its truth at the present day, in spite of all the revelations of knowledge. I do not of course, commit myself to the story, but, as related to me, I place the incidents of it before my readers. In the year 1810, then, John Jones and his wife, Jinney, lived in a substantial farm house near Caeathraw. They were comparatively well to do, and had an only daughter, named, after her mother, Jinney. At the time this story opens, Jinney's mother had just died, and her body lay in a room in the old farm, awaiting interment. Her grave may now be seen at Llanbeblig. Near Mr. Jones' farm stood the "big house" of Rhys Rhys, whose eldest son, an enigmatical sort of person, morose and taciturn, had fallen in love with Jinney Jones, and had obtained Mr. Jones' consent to a marriage. Mrs. Jones, however, disliked the idea of a match between her pretty daughter and the sour heir of the adjoining estate, and she had, up to her death, steadfastly refused to withdraw her opposition, and in this frame of mind had died, denouncing maledictions on the union if it were consummated after her death. As for Jinney herself, she appears to have been of an aspiring if somewhat flighty character, and, as far as she dared, ignored her mother's injunctions against keeping young Rhys' company. Many a sweet kiss was indulged in during the frequent lonely walks of the young couple around the lanes of what is now called Glangwna and Caeathraw, and they vowed that come what might, as soon as propriety would admit after her mother's interment they would be married. The day of the funeral arrived, wet, and gloomy with fog, and what was regarded as a supernatural darkness prevailed during the procession to Llanbeblig. The horrified mourners were also startled at intervals by the apparition of the deceased lady, which appeared frequently during the march to the church, gleaming spectrally among the trees or the road side, and in such a form as impressed them with the conviction that the wraith was denouncing doom on those who had so secretly determined to ignore her dying wishes. But the interment itself past off quietly, and all returned home, drenched to the skin by the sleet which fell all the morning, changing in the afternoon to a heavy fall of snow, which covered the whole countryside with a vast white mantle. In Mr. Jones' homestead only three persons remained, and one of them sat alone in the kitchen. In a smaller room, where a great wood fire burned, Jinney and Rhys sat together conversing in low tones on the events of the day, Rhys encouraging Jinney in her decision to marry him as soon as decency would permit. The night closed, and Mr. Jones pressed Rhys to stay rather than face midnight terrors on his homeward journey. This the lover consented to do, and a new subject of conversation was started in the ghostly appearance of Mrs. Jones during the funeral procession. But while they conversed, they became aware of a Presence in the room, and their hearts almost stopped from fear. There was nothing to be seen; not a sound broke the deathly stillness of the night; yet they felt that, somewhere near them, all about them, an antagonistic supernatural influence prevailed, and choked their utterance. The fire waned and died; the watchers sat still in their places, staring dreadfully into the gloom; clutching each other's hands in an agony of terror. Every moment they expected some horrible vision to manifest itself; every moment they expected some ghastly outbreak of noise to affright their ears; but neither sound nor vision had they. The long hours of the night passed, and the day broke, and the three watchers, hand-in-hand, woke from their trance with a shuddering cry of relief, and separated. Three months passed, and Jinney Jones became Mrs. Rhys. A large wedding party gathered in the Rhys Mansion, and dance and song rang through the old house. About eleven o'clock the party broke up, old John Jones being the last to leave. Rhys and his wife went with him to his lonely house, and bade him good night on the door steps. They then slowly traced their steps homeward. Arrived there, Jinney turned round to give a last glance at her old home, and immediately fell screaming to the ground. Rhys, who had turned to open the door, swung round to ascertain the cause of his bride's sudden terror. To his unspeakable horror, on the sill of his father-in-law's bedroom window, burned the dim flame of the corpse candle, while all about him in the night air the deadly fear of the funeral night began to assert itself. Gradually the Presence became manifest. Dimly outlined on the door of his house stood the wraith of Jinney's mother, menacing but silent. Rhys stood paralysed with fear. Not a movement could he make, either to pass into the house or to assist his bride. The eyes of the apparition regarded him with terrible persistence, but there was no voice or sound. And so the time passed--in reality but a few minutes, it seemed to Rhys endless. The spell was for a moment broken by the recovery of his wife from the swoon into which she had fallen. Rhys stooped to raise her. But the moment she turned her eyes to the hall door, a more terrible cry than before rang through the night, and she dropped lifeless to the ground. Lights now appeared, and servants ran up on all sides. Rhys regarded them wildly for a moment, then threw up his arms and fell heavily beside his dead wife. When they carried the bodies into the house, life had passed from the bride. Rhys himself still lived, and for many years after, but his hair had turned completely grey. In the morning John Jones was found dead in his bed. When questioned as to the motive of these ghostly appearances on the part of Mrs. Jones, my informant stated that Mrs. Jones in her younger days had been jilted by the elder Rhys, hence her antipathy to the marriage. It was not supposed that her posthumous appearances were intended to result so tragically as they actually did, but were made merely as a kind of protest against the marriage; from which we may deduce the moral that ghosts, no more than frail humanity, can foresee the effects of terror on ignorant minds, and that they ought to be particularly careful how they "turn up" at inconvenient hours to affright pale mortals; with which caution to ghosts in general, and those of mothers-in-law in particular, I close. Always listen to your mother, girls! As I have mentioned before, murder cases do not usually interest me unless they are unsolved and/or have an unusual quality to them. Simple, unadorned brutality is not something I care to dwell upon. However, every now and then I come upon a murder that is your usual banal evil with virtually no mystery at all, but is so utterly deranged from beginning to end that I find it noteworthy enough to include in the hallowed halls of Strange Company HQ. As you may have already guessed, this week we shall look at an unjustly obscure example of one of those crimes. Behold, The Case of the $1.50 Hit Man. At the center of our story is Gaylord V. Saunders, the pastor of a Methodist Episcopal church in Wabash, Indiana. As he entered his mid-thirties, Saunders, like so many people, had something of a mid-life crisis. His life felt empty. He needed a sense of meaning to his existence. He longed for excitement, emotional fulfillment, new challenges, a fresh road to travel. So, naturally, he moved to Indianapolis and enrolled in an embalming school. Unaccountably, his wife Neoma failed to heed the siren song of organ preservation and creating a remarkably lifelike appearance, so she and their children stayed behind in Wabash. Over the embalming tools and formaldehyde, Saunders became friends with a classmate, 19-year-old Theodore Mathers. So far as anyone knew, Saunders' studies went along quite pleasantly until the morning of February 2, 1934, when he was discovered in his parked car, in a condition ideal for his recently-acquired skills. He had been shot in the back of the head. As baffling as the crime may have initially appeared, it wound up being a candidate for the shortest unsolved murder on record. By the end of the following day, the police knew not only who killed Saunders and why, but a whole lot more besides. If anything, this was an investigation that elicited almost too much information. Theodore Mathers had a long-time friend named Masel Roe, to whom he confided all the details of his personal life. This was Mathers' error. No sooner had Saunders' body been found that Roe was telling police all he knew about the crime. And, brother, that was plenty. Roe, you see, claimed to have witnessed Mathers shooting the aspiring undertaker. He explained to police, "Several times Mathers told me that his roommate, Saunders, was nuts and was going to kill his wife and children at Wabash. Mathers said he would rather kill Saunders than see him kill the children." Accordingly, on the night of February 1, Roe and Mathers escorted Saunders to a local tavern for some much-needed liquid courage. Then, the three got back in the car, with Saunders at the wheel, and "before I knew what had happened, Mathers shot Saunders through the head." After idly driving around town with the corpse--apparently the question of what to do with the body afterward had never previously occurred to these criminal masterminds--they simply stopped in a quiet spot, placed the body back in the driver's seat, took the dead man's watch and ring in order to simulate a robbery, and went to their respective homes to contemplate the strange byways of Life. At some point during the night, it finally entered Roe's mind that he was now an accessory to murder. This made him a bit uneasy. The next day, he went to the nearest police station to unburden himself. When detectives heard his tale, they naturally wished to conduct an interview with Mr. Mathers. The police's first question to Mathers was probably what you yourself would be asking, given the opportunity: why did he shoot Saunders, and why was he taking such an interest in his victim's widow? Mathers--who was just as chatty and self-incriminatory as his buddy--had a simple answer: Mrs. Saunders had hired him to do the deed. Three weeks earlier, he explained, Neoma paid him ten dollars to rid the world of her husband. He had invested eight dollars and fifty cents of his payment on the gun used for the deed. Yes. Theodore Mathers was willing to commit murder for the net profit of a buck-fifty. Which gives a whole new meaning to the phrase, "life is cheap." The foursome proved to be the most informative bunch of suspects on record. They were practically fighting to be the first to put their hands up. Neoma admitted to planning her husband's murder. Theodore admitted to carrying out these plans. Masel admitted to witnessing the deed. Mabel admitted to having prior knowledge of the crime. You couldn't find a more obvious Murder Incorporated if you tried. Mrs. Saunders was the first to face a jury. It was expected to be the least suspenseful murder trial on record. Everyone assumed it was not a question of if Neoma would take a seat in the electric chair, but when. Her lawyers did what lawyers generally do when given an apparently unwinnable case: they threw everything they had against the wall to see if any of it would stick. The defense went for that time-honored tactic of blaming the victim. Every competent criminal defense attorney knows that no matter how overwhelming the case against your client may be, if you can just present an unlikable corpse, your murderer is off to the races. Neoma told heartrending tales of how she lived in fear of her insane husband. According to Neoma, Gaylord had threatened to kill their sons. Mrs. Saunders explained, "I wanted my husband killed because he was losing his mind and I had papers filed to put him in an insane asylum." (Presumably, she decided that murder was both cheaper and more efficient than institutionalization.) Mabel Balke agreed. She testified that, in her professional opinion, Mr. Saunders was losing his mind, and was a great danger to everyone around him. But wait, there's more! The late embalming student was not just a lunatic, he was an alcoholic, marijuana addict, and "moral pervert" who subjected his wife to "unspeakable indignities" such as making her look at lewd pictures and listen to equally indecent stories. Ross Curtis testified that Mr. Saunders had once threatened to take a butcher knife to his spouse. When Curtis objected to this plan, Mr. Saunders bit him on the finger. So, why did Neoma select young Theodore as her hit man? And why did he accept the job? For just the reason you might think: the two were having an affair. However, Mrs. Saunders managed to turn even that into an indictment of her husband. You see, Gaylord had forced them to become lovers. At knife-point. Once the defense had finished blackening the victim's character, they moved on to disparaging their own client. They brought out the insanity defense. Mr. Saunders' many "unnatural acts" had driven his poor wife around the bend, causing her to believe her husband was possessed by the Devil. Three medical experts testified to their belief that whatever Neoma's mental state had been previously, she was--at the moment, at least--sane. In response to all this, the prosecution settled for presenting the unvarnished facts: Mrs. Saunders was involved with another man, and wished to enjoy the $29,200 worth of life insurance she would collect if her husband met with a premature end. The case made by the defense was patently ridiculous, but like so many patently ridiculous things in this world, it worked. After deliberating for a grand total of 80 minutes, the jury returned a verdict of not guilty, due to "temporary insanity." As the three doctors had ruled that Neoma was now perfectly compos mentis, that meant she was immediately free as the proverbial bird. Mathers stood trial in April 1935. His lawyers, recognizing a good thing when they saw it, essentially repeated the same story given by Mrs. Saunders. Mathers, too, was insane at the time of the shooting. Being forced into a romance with Neoma, they explained, had driven him temporarily out of his mind. Mrs. Saunders could not have been pleased with this argument. Unfortunately for the defendant, jurors were getting a bit bored with this tactic, but they still showed him a certain amount of favoritism. Instead of finding him guilty of first-degree murder, they delivered a verdict of "involuntary manslaughter." One to ten years in prison. There were many petitions asking the court to give Mathers a suspended sentence, but these efforts on his behalf appear to have failed. As for Mabel Balke and Masel Roe, the authorities decided it wasn't even worth the effort of putting them on trial. The law merely shrugged and let them go. And that was the end of what contemporary newspapers dubbed "The Ten-Dollar Murder."